Wi-Fi Internet, Parking, Air Conditioning, Kitchen. 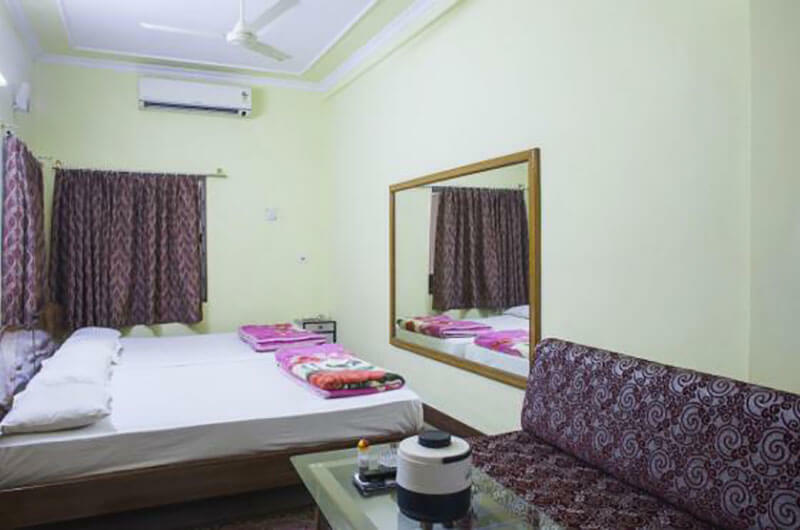 The Deluxe D/B AC consists of one bedroom and one bathroom with dining space. 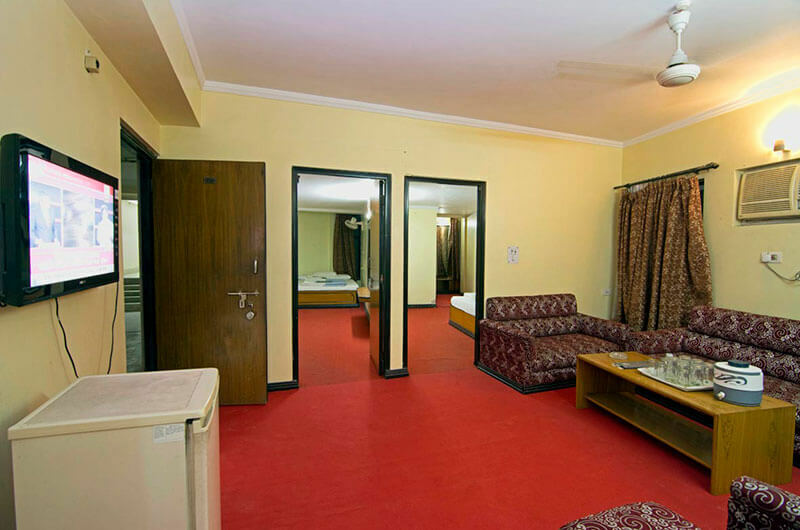 The Executive AC consists of one bedroom and one bathroom with dining space. 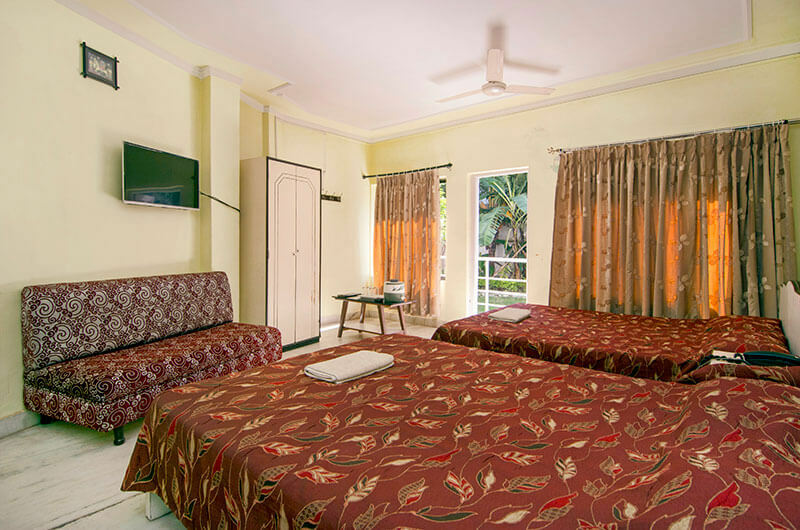 The Family Suite consists of one bedroom and one bathroom with dining space.The Family Suite consisting of three bedrooms with a dining space is ideal for vacation for a big family. 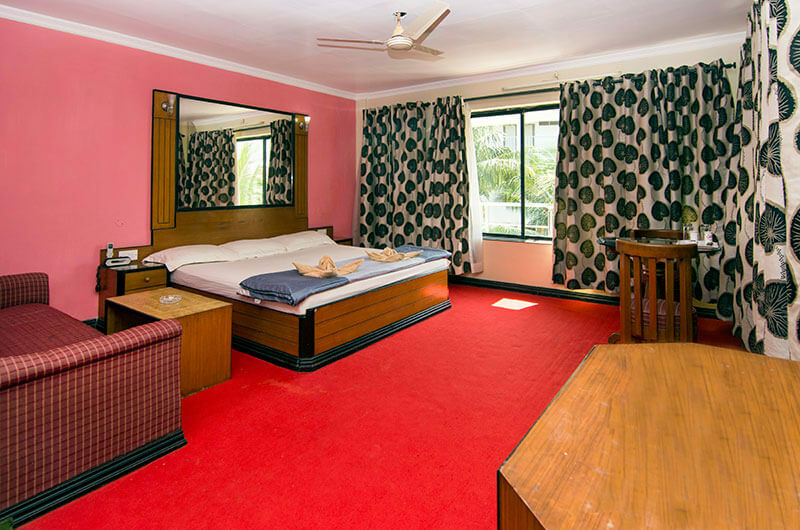 The Family Suite consisting of three bedrooms with a dining space is ideal for vacation for a big family. 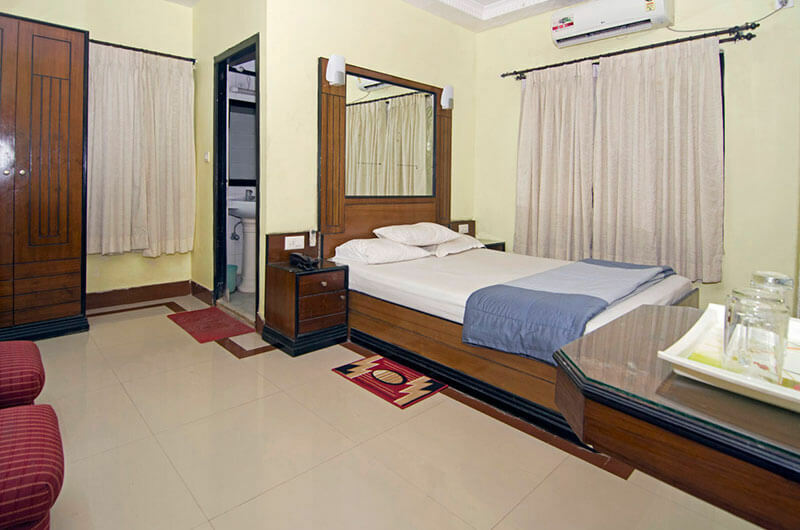 Four Bedded Non AC consist of one bedroom and one bathroom. 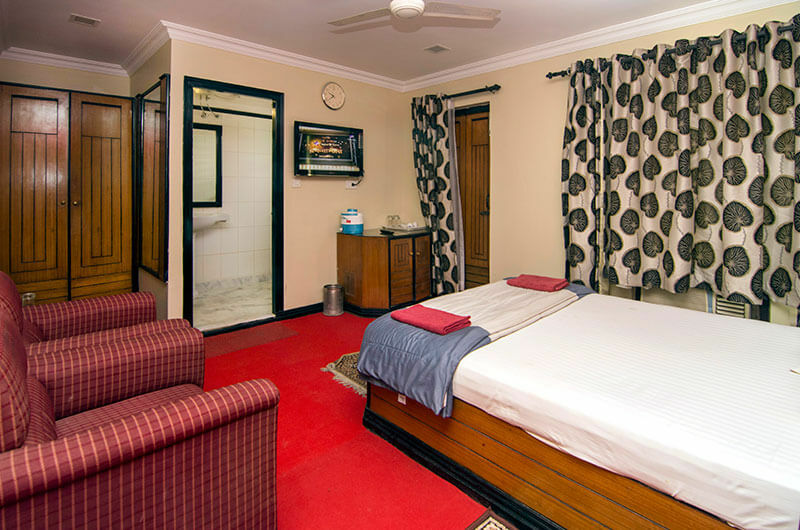 Four Bedded AC consist of one bedroom and one bathroom. 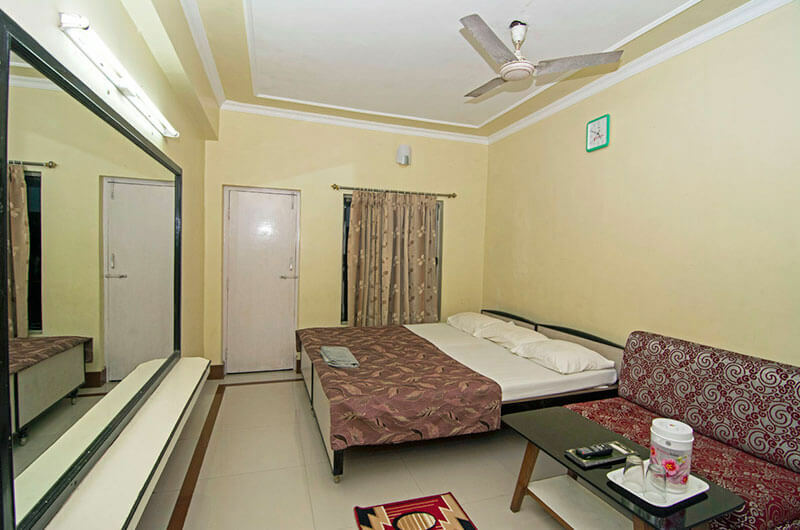 our Bedded Non AC consist of one bedroom and one bathroom. 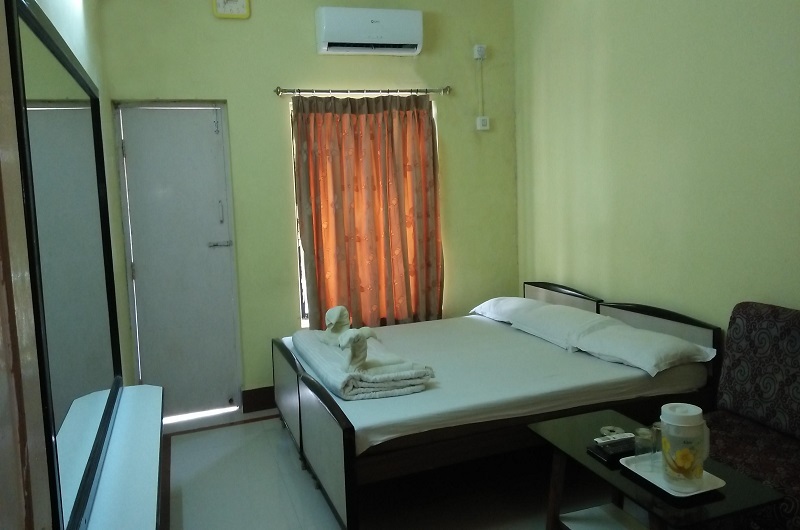 Cottage AC consists of two bedrooms with 2 attached bath and a dining hall ideal for mid size family. The ECO AC consists of one bedroom and one bathroom with dining space.